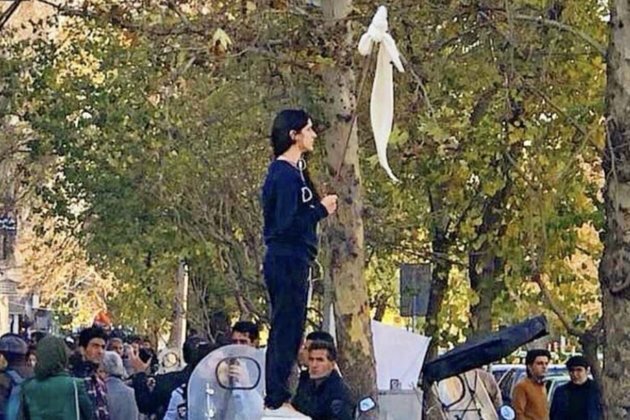 An Iranian woman who inspired antihijab protests by removing her obligatory Islamic head scarf in a public gesture of defiance says has been sentenced to one year in prison but pardoned by the supreme leader, her lawyer says. Lawyer Payam Derefshan said on April 14 that a court sentenced Vida Movahed in March after finding her guilty of encouraging public 'corruption' after she was arrested in November 2018. Movahed, 32, known as the 'Girl of Enghelab Street' was briefly arrested in 2017 after she took off her head scarf and held it in the air while standing on a utility box on Enghelab (Revolution) Street in Tehran on December 27, 2017.